This year’s sixth annual NOCO Hemp Expo hit record numbers of attendees at its sold-out event in Denver, Colorado. Last weekend I was among over 10,000 people in attendance at the conference. 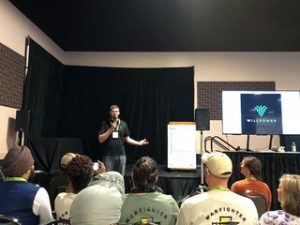 Just like the hemp industry is growing rapidly, NOCO has grown into the world’s largest gathering of hemp industry professionals in the world—in only six years! The event has highlighted the many uses of hemp, from CBD products, to hemp building materials, to the agendas printed on hemp paper. The event provided education and workshops across the board. There was a special keynote address from Colorado’s governor, Jared Polis, as well as presentations from Dr. Bronner’s CEO David Bronner, cannabis leader Chloe Villano, regenerative agriculture and soil expert Ray Archuleta, founder of WillPower Will Carr, and hemp food demonstrations from Carla Boyd with Hemp Way Foods. In addition to replacing almost any product with a more environmentally friendly alternative like hemp, it is a superfood which supports overall health and wellness. Highlighting the importance of utilizing hemp into a daily diet was Carla Boyd with Hemp Way Foods. Carla’s award-winning hemp foods company specializes in hemp burgers and hemp crumbles and are located in several restaurants and markets across Colorado. 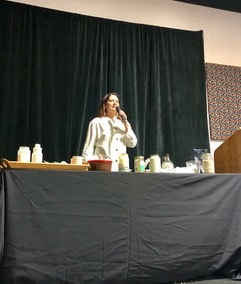 She is also a hemp foods educator and provided a delicious hemp food demonstration. She shared recipes for hemp milk, hemp cream, hemp mayonnaise, hemp aioli, and hemp chocolate avocado mousse! Carla showed how easy it is to add hemp into your daily lifestyle and how health hemp foods taste great! 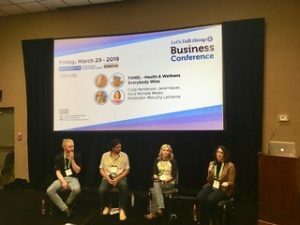 Providing more discussions about hemp being healthy was a panel title, “Health and Wellness Everybody Wins.” The panel included Jerell Klaver with Whole Made, Myra Michelle Mesko with Botanical Rush, Maruchy Lachance with Boulder Botanicals and Biosciences Laboratories and was moderated by Cecily Friday, the co-founder of the Southern Hemp Expo. They led a great discussion about how hemp is beneficial for overall health and wellness and how providing topicals to your body’s largest organ, your skin, can provide amazing results. Continuing with the health benefits of hemp was a discussion about “CBD for the Fit, Healthy, and Active” presented by Will Carr, the founder of CBD sports nutrition brand WillPower. His company specializes in hemp CBD protein supplements. Will is an athlete, having played basketball professionally in South America, and now he’s an active father and business owner. He shared how hemp products have helped him recover athletically and as a daily vitamin for his overall health. It’s exciting to see the enthusiasm from so many people interested in hemp. With the many benefits it can provide to the world and people, it truly has the power to change our world for the better! It was an honor to be among those creating a healthier future for people and the planet! Thank you to NOCO Hemp Expo co-founders Morris Beegle and Elizzy Knight for creating such an incredible experience!